Maine is one of the most beautiful states you could ever imagine. Besides hopping into a limo and touring our coastlines there are other places you may consider visiting. Freeport has a shopping complex with boutiques and LL Bean of course. Trust me hubby, nothing is going to make her happier than to take her to Freeport in a limo. Not only is the shopping going to be phenomenal but the cuisine you're going to find will leave you wanting for more. Shopping all day and half the night if you're like us lol. The ride home in our limousine won't be a disappointment. She's going to be very happy sitting back sipping on some chilled champagne cuddling up with her man after a ling day of shopping in Freeport. Welcome to the Old Port. There's so much to do here and so much to see. Let's just start with the Portland Headlight. Beautiful boats and sunsets make a romantic evening. Pack yourselves a picnic and wine and relax until the sun goes down. Are you a baseball fan? Take a trip to Hadlock Field and watch a baseball game? How about a tour at The Allagash Brewery. They have plenty of samples and lots to see on this tour. Can purchase beer from their refrigerator so its good and cold for the ride home.. Fun people to meet there and learn how your favorite beer is made. So many people absolutely love the Portland Symphony. 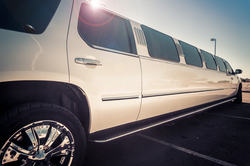 We can drive you there and pick you up for an enjoyable evening listening to the symphony. Another good tasting thing to do is check out the wine wise events. This is where you walk to 4 different restaurants and taste different Italian food to try paired with a glass of fine Italian wine. Other place to check out are the Comedy Connection, can listen to 3 different comedians and have a few drinks and laughs; Gritty McDuff's where they brew their own beer and have smoked pork fries, great place for a yummy lunch; and Maine Foodie Tours is a great place to check out different restaurants and taste different foods and wines/beer. There's also a bike trail you can hike on Casco Bay. Enjoy a boat ride here and take in the views of this stunning beach. You can also check out these cute little shops here in the bay.